When people think of allergic reactions, they incorrectly believe there is only one kind... the kind that makes a person's nose run or the rash that appears after eating a food one is allergic to. Sounds simple, but sadly it is WAY more complex than that. There are actually 4 distinct types of allergic reactions that occur. All images courtesy of University of Georgia unless otherwise specified. This is the classic type of allergic reaction everyone is familiar with. 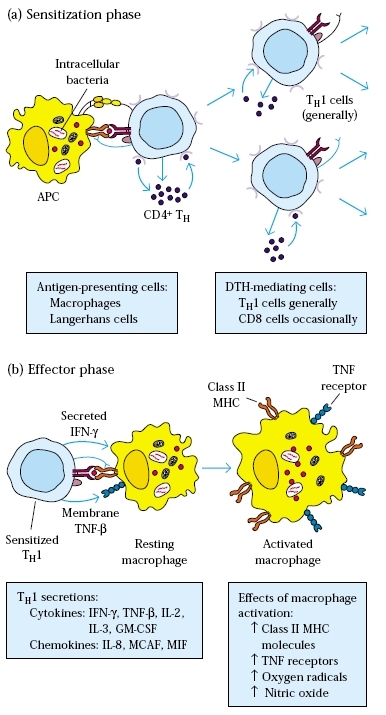 Generally, it is activated by IgE antibodies in the blood in conjunction with mast cells. This is the type of allergy that is typically tested for by skin prick as well as blood testing (RAST or immunoCAP). The reaction goes something like this: The allergen (stuff you are allergic to; green starfish in image below) binds IgE (stuff measured in allergy blood tests; Y shape in image) found on mast cells (the cell responsible for allergies). 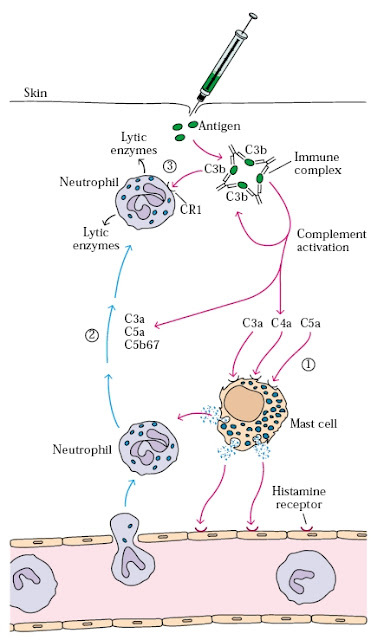 When that happens, the mast cell explodes releasing chemicals that cause all the classic symptoms of allergy. This is the allergic reaction that occurs if you get the wrong blood type during a blood transfusion. Rather than IgE, this reaction is mediated by IgG and does not involve mast cells. 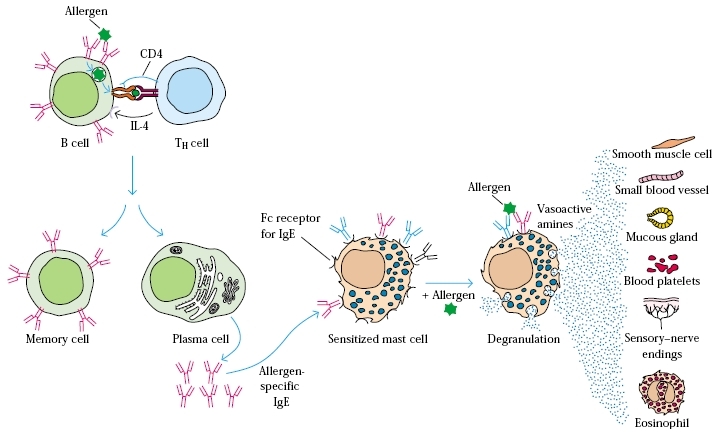 The reaction goes something like this: Antibodies (homing beacons; green Y in image) in the blood attach to certain cells (cells that have a red triangle) which than marks them for destruction. 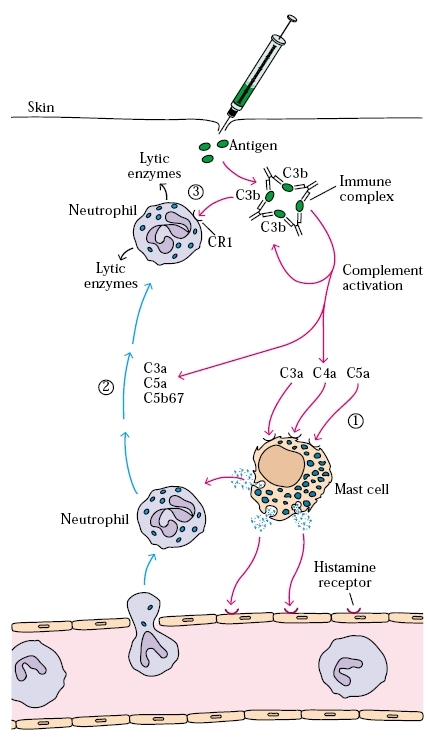 Destructive proteins (called complement) and killer soldier cells than "home in" on these tagged cells and destroy them (like laser-guided missiles). This reaction typically occurs in autoimmune diseases like rheumatoid arthritis but can occur with injections. The reaction is due to clustering of IgG antibodies (Y shape in image below) and the "allergic" substance (green pellets). 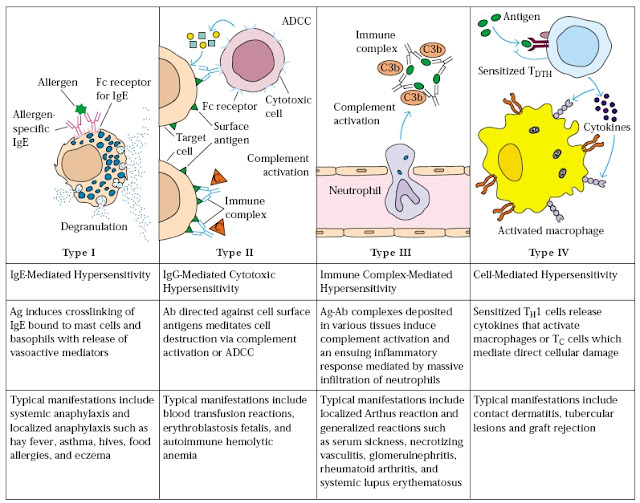 This clustering can ultimately create a mega-complex (called immune complex) which can than activate destructive proteins (complement as in Type 2) as well as clog up the small arteries causing surrounding tissue death and/or ischemia. This type of reaction is what mediates latex allergy and other forms of contact dermatitis. It also forms the basis for organ rejection after a transplant as well as the PPD reaction that occurs when testing for tuberculosis. Rather than antibodies, special cells called macrophages actually directly cause the damage. These cells hunt and "eat" the offending protein or cell with the end result being a "reaction".